Probably the last time Luna can fit in the ol’ airplane bassinet. Luckily, the flight was delayed by five hours, which gave us exactly enough time to go home and get Luna’s passport and turn around and make the eight hour journey to this gorgeous island. Luna caught up on her sleep already. 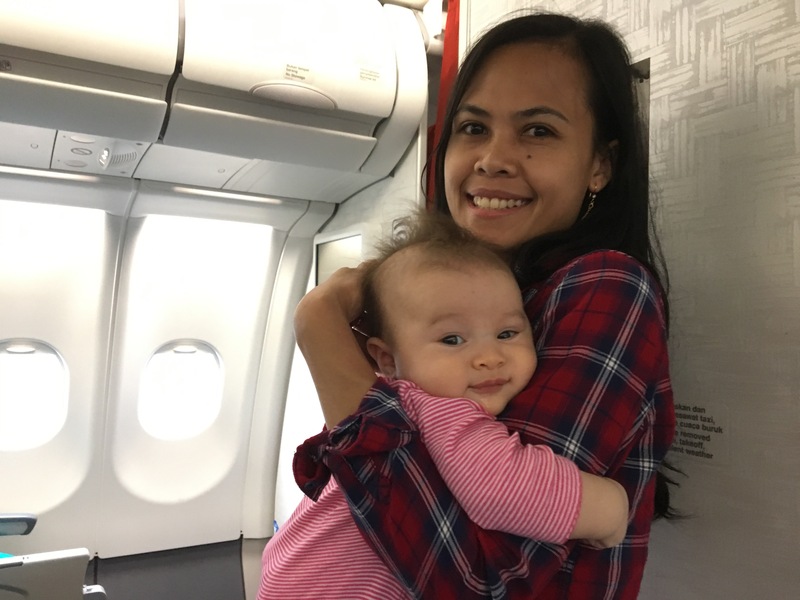 Our life saver, Yani, with Luna on the plane. Yani is our housekeeper and our nanny and the girls consider her a surrogate momma. Posted in TravelsTagged air travel, airplane bassinet, Bali, family trip, flight delay, IndonesiaBookmark the permalink.